We typically enter documentaries in a different mindset and with a different approach than we do standard Hollywood fare. Familiarity bypasses anticipation. Not due to lack of excitement, but rather because we expect to delve deeper into a subject with which we are already somewhat familiar. Earlier this year, the melancholic “Won’t You Be My Neighbor?” underwent that route to excellent ends. “Three Identical Strangers,” however, defies that expectation. If you know this story, chances are you only know how it begins. In the age of instant gratification and mistaking 280 characters on Twitter for a news story, we rarely follow up on the flavor of the 5-minute trend – and that’s where this film seizes its chance to captivate. 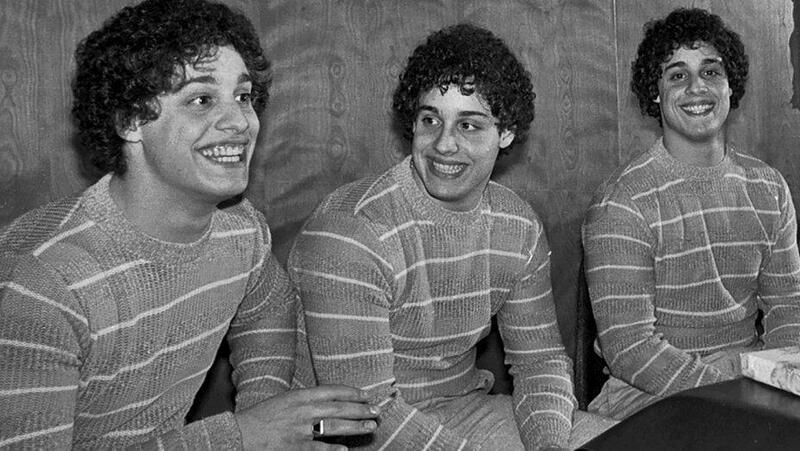 It doesn’t take long for “Three Identical Strangers” to break out of the conventional constraints that can sometimes limits other entries in the documentary ecosystem. Within 15 minutes, Tim Wardle’s fleet-footed direction runs us through what most would consider the crux of this (remarkably) true story. But that ostensible feeling of procrastination isn’t Wardle rushing to the finish line. Instead, it’s to get to the real story of what happened after three triplets separated at birth – Bobby, David and Eddy – found their way back to each other at age 19, and the media circus that followed. Which, in ways that defy the genre, is a series of events more unbelievable than the ones that came before, culminating with a stark reminder that stories don’t end when the faces of those involved are off the evening news. “Three Identical Strangers” weaves through a combination of interviews, recreation and revelation with an insistent energy for most of its roughly 90-minute running time. Paralleling the rapid rise of a viral, A1 story before “virality” became an omnipresent attribute in society, it’s a fast-moving movie that moves a bit too quick at times, leading to the questionable dismissing of a few major events in this saga. The film certainly lends itself, and leads us, to believe that truth truly is stranger than fiction. But when one of the reunited brothers’ fates is revealed and seemingly glossed over for another development that borders on John Grisham territory, it becomes perfectly logical for us to question the filmmakers’ motives. That’s not to say objectivity is totally absent, but at times Wardle elects taking a back-row seat to melodrama by way of potential sensationalism. But if Wardle and editor Michael Harte’s priorities lied in mimicking Bobby, David and Eddy’s meteoric rise into fame and its subsequent struggles, it’s a job excellently done. As their story seeps further into becoming a link in a chain of events much bigger and stranger than their reunion, the narration by their contemporary floating heads keeps us anchored to the fact that what we’re seeing unfold really happened and, indeed, is still unfolding to real people facing real consequences. And if certain combinations of those interviewed by the movie’s crew were to meet, they may be fiery encounters. While it would give away some of its more unbelievable plot checkpoints to delve into specifics, the story is most effective when it becomes a disturbing examination of nature vs. nurture. In a stretch about 20 minutes long in the film’s final act, “Three Identical Strangers” posits some downright existential questions that weave nicely with the personalities we’ve spent an hour getting to know. Wardle and Co. intelligently and naturally develop the characters through different pieces of their testimony; as a result, we might find our loyalties shifting on more than one occasion. Pathos is fully injected into this, the film’s strongest stretch, as Wardle ventures deep into the intricacies of parentage, the ethics of clandestine experimentation and the importance of acknowledging our differences as much as our similarities. That “Three Identical Strangers” never fully offers up answers to those topics is proof of the unexpectedly profound subject matter rather than an indictment of Wardle’s directing. With that prerogative comes a subtle possibility of fragility that lingers through the movie’s running time, (the potential for it to lose sight of Bobby, David and Eddy’s story that got us in the theater in the first place). It’s ultimately tamed by Wardle, and the result is one of the more resonant and surprising documentaries in an already magnetic year for the genre, even as the story launches further into the stratosphere of incredulity. David A. Lynch is a local multimedia journalist, digital producer, film critic and Grey Wolf contributor. 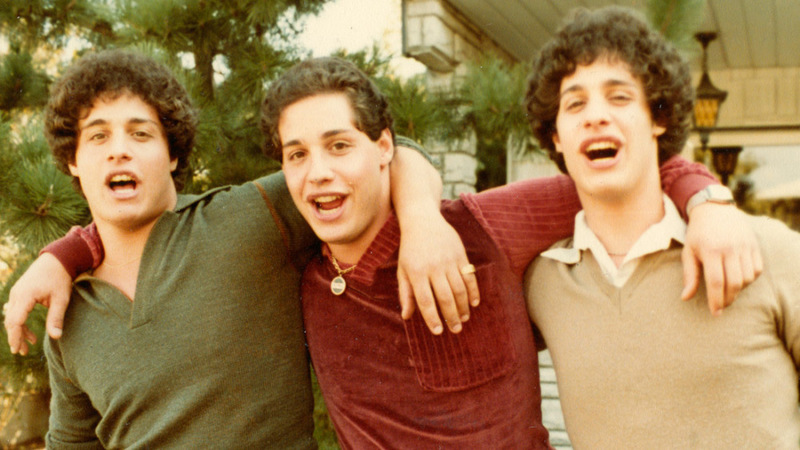 His original review of “Three Identical Strangers” can be found here. 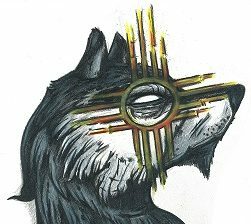 Previous postABQ from the eyes of Grey Wolf: A mini photo-essay.